When I am creating a link to a file, the link only works properly if the filename contains no spaces (usually create this link by dragging the file from Finder/Path Finder). That is all the characters up to the first space are turned into a hyperlink, the rest is ignored. You need to precede the space in a filePath with a backslash. Jesse’s last note on this was, I believe, the one below, but it may refer to work in progress rather than the current build. Brilliant, I’ve got that hooked up to a Keyboard Maestro hotkey now. Thanks muchly! yeah, thank you works great! 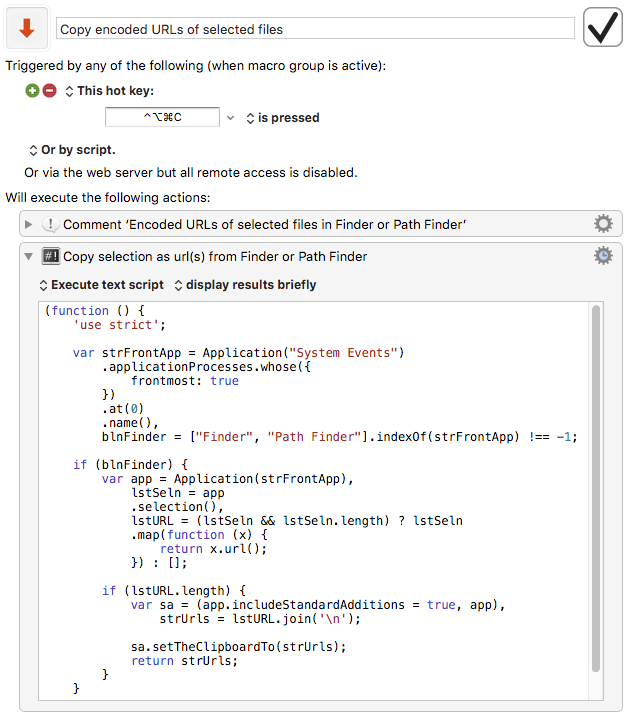 A Keyboard Maestro version for copying the encoded url(s) of the selected file(s) in Finder or CocoaTech PathFinder. 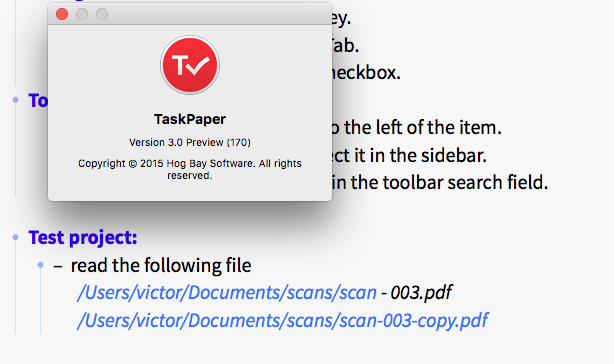 This occurs whether I copy the link into TaskPaper or type the link inside TaskPaper. I think I just found the bug. Right now it only works if you escape one space… but if the path has more then one space it won’t open the file and you’ll see that dialog. I’ve just fixed for the next release.